Pssst – this title is an example of negative bias in action! Let’s face it, you’ve got enough to worry about with the whole blogging thing. 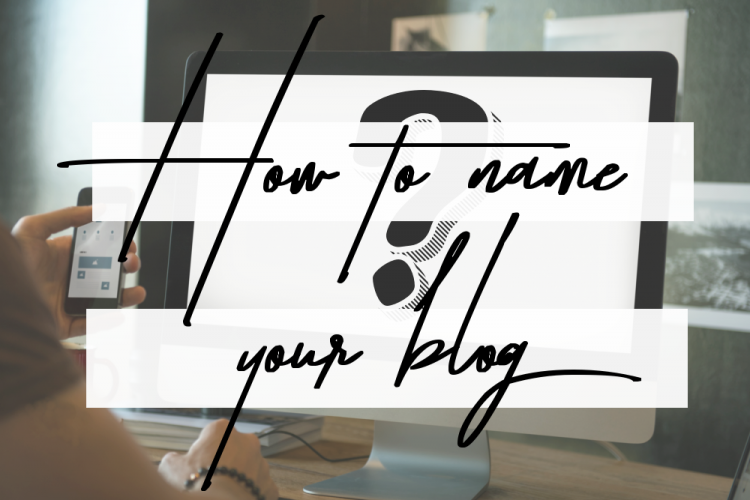 I did warn you about how much work it was going to be when I told you why you probably shouldn’t start a blog, but you’re determined, so let’s pick a good name. Maybe you’re not selling a product, but you’re still selling something: you’re selling yourself and your site. Your name says a lot about your industry, even in the arts. For example, if you’re an artist, chances are you’ll want to use your own name. If you’re setting up an art business, on the other hand, you’re probably going to be using a brand name to encapsulate what you do or offer. Now, this isn’t set in stone, but in general fine art revolves around the persona of the artist as an individual. Brand and identity in this case go hand-in-hand, even when artists use pseudonyms or construct alternate identities. On the other hand, we often see designers and artists who teach online using branding to create a larger system in which to operate. That’s not to say that it has to be this way; it’s just that it’s what we now expect to see. As an artist, I was always going to use my name as my domain and site name. For my other sites, I’ve had great success with a variation on a common phrase – see “punning” names below. If you’re not coming at this from the point of view of an artist/creative, (or even if you are, it doesn’t matter) you might want to take the totally pragmatic view of sticking your search keywords into your domain name. People are out there searching for answers to their questions, but they don’t know you yet… so as above, think about what you’re selling, and whether your site name could spell it out for people passing by. Sure, this isn’t always a good idea for everyone, but think about whether it would work for you. Personally, I’ve found that my SEO success has come from optimising individual blog posts rather than relying on my blog names. For ages it seemed as though I only saw blogs that had names made up of something-and-something. Usually the two things that were placed in juxtaposition to illustrate just how different this person was. Wow, she likes/does/is those two different things? That’s AMAZING! I want to be her friend! Ok, you get my drift. Anyway, I don’t mean to be horrible if that’s your blog – I’m just being overly salty. Just don’t jump onto the tail end of a trend – any trend. On another note, puns can be a pretty good way to capitalise on a well-known phrase and make your blog “sticky” in your readers’ minds, but this doesn’t work very well when you’re the tenth person to have that idea. If there are already several websites that are derivatives of the punny phrase you’re after, you should probably look elsewhere. Basically, if you see too many blogs with names that look the same, don’t bother using that cookie cutter. Of course, you may be writing a blog all about your family… but if you base your blog’s name on the number of kids you have, their ages or your age, you’d better be pretty sure you don’t ever pop any more kids out, and you’ll inevitably have to wrangle with what happens when you all grow up. If you end up going super-specific in any sense, just be prepared to pick and stick, or you’ll end up with a fair amount of inner turmoil, which you could always blog about, I guess. It might sound great, or describe your company perfectly, but what happens when you mash the words together into your web address? Hint: if you can’t figure out what I’m on about, just write it down and do a quick word-search game when you see all the words pressed together. If there’s nothing rude or lewd, it’s a start. Look at these folks who didn’t check first. Oh, and think about what happens when people try to spell it – are they unlikely to get it right because you’re spelling a common word in a weird way? Not helpful. Get your dictionary out and check your spelling. If this blogging lark works for you, you’ll be hacking away at this business for a long time to come – you don’t want to be stuck with something awkward that you can’t even pronounce… or worse, say to someone else without getting embarrassed. But because you already know what you’re getting at, you might not notice if your chosen name doesn’t exactly roll off the tongue. Get a friend to listen to you and give honest feedback on how your chosen name sounds to an uninitiated ear. Really, the general consensus is that you’ll be safest with .com – that’s just the way it is. It’s like wearing blue jeans: the blue’s become virtually invisible. Everyone will naturally assume your domain will end with .com, but there are good reasons to go with others if it fits. I’ve seen wildly successful blogs using domain extensions that I’d consider very unusual, and in some cases, an unusual extension is a plus point for a site. There are now all sorts of fun extensions available (yes, even .fun) and this means that you can often pick up the name you want even if the .com is already taken, or incorporate the extension into your site name. Porkbun is my favourite registrar for unusual domains. They always have a huge range of country names and quirky tlds that other registrars don’t offer, so you can find something memorable there. Also, I’ve already written about how you can get a free .co.uk domain name and site, so check that out here. Not happy? You can always change it! Hey, no-one can get it right all the time. Sometimes you just need to do a full rebrand. If this happens, don’t just scrap your site; set up redirects to point your traffic to your new pages. 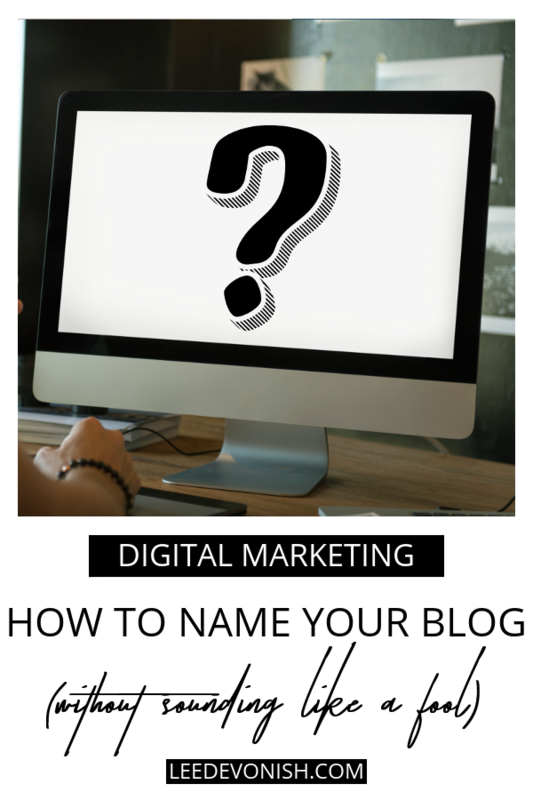 Can you come up with better ideas for blog naming? Feel free to put me right in the comments!